Creative Assembly's first strategy RTS set in China is bringing some cool new features to the series. While China's bloodiest period has a rich history across the gaming industry, the Three Kingdoms era will serve as the platform for the first Total War strategy game set in China. Creative Assembly as established itself as a premier strategy gaming studio and Total War: Three Kingdoms should serve as a major milestone. It launches March 7, 2019, on PC, but I got an opportunity to go hands-on with it at TwitchCon 2018. 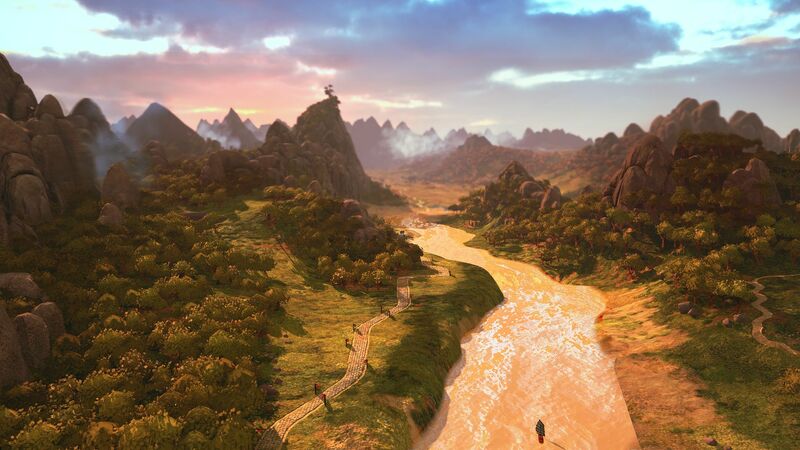 The Three Kingdoms period in Chinese history, the time where the Wei, Shu, and Wu states divided China, has been explored in many ways throughout gaming. The Romance of the Three Kingdoms strategy series, based on the Records of the Three Kingdoms by Chen Shou, ran for thirteen games and the long-running Dynasty Warriors series is based on the historical novel Romance of the Three Kingdoms, which features mythical elements. Outside of the Total War: Warhammer series, Creative Assembly's main franchise takes a more grounded approach to massive real-time battles. Total War: Three Kingdoms, though, will feature a fantastic take on the era that is based on Romance of the Three Kingdoms and the more historically accurate take from Records of the Three Kingdoms in two respective modes: Romance and Classic. My demo was of a Romance-style ambush featuring Generals with superhuman abilities. The units I played with were your typical fare, arrowmen, spearmen, swordsmen, and cavalry, but there were unique formations that I could use. One of the units also had the ability to switch between capable melee and ranged weapons, thus, I had to stay on my toes and get them into the best position, but also know when to switch them up if the conflict called for it. The ambush offered two options: Survive the waves of enemies or fight to an extraction point. I chose to fight as long as I could and the cavalry units were the linchpin to surviving instead of retreating. The units’ mobility allowed me to do a lot of damage to the enemy archers and swordsmen while my own slow-moving units got into a better defensive position on a hill. Once the enemy surrounded us, the forward enemy units were softened up and almost useless. 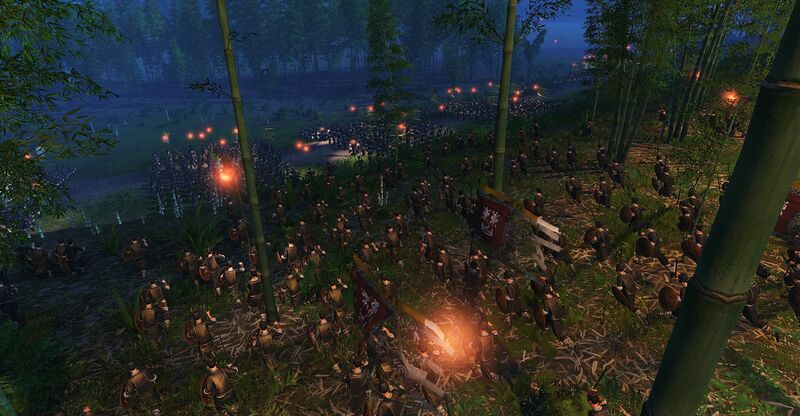 The rest of the battle was a game of micromanaging to make sure I wiped out the rest, but I ended up making a crucial mistake rooted in on of Total War: Three Kingdoms' new features. I set my support general into a duel, a new and flashy optional battle between generals, with a much more capable enemy general and he lost, sending my army’s morale spiraling. I used my remaining general, who’s a major threat on the battlefield, to take out a few of the stronger enemy units. Then, though, I made the mistake of sending her into a duel before softening up the opposing general. She fought long and hard, but lost, even though she started with a health advantage. Thankfully, due to my surgical elimination of enemy units up until this point, the morale loss from her defeat didn’t knock us out of the game. I lost some units due to retreat after the second failed duel, but we finished everyone off. I also had a clear path to the extraction point if I so wished to go that route. Duels are an intriguing element that is not only stylish, but can turn entire conflicts on their head. There are other elements, like the interconnected relationships with generals, that I won't be able to experience until we get a bit closer to the release date, but Total War: Three Kingdoms is shaping up to be one of the most intriguing in the franchise. Published by Sega and developed by Creative Assembly, Total War: Three Kingdoms launches March 7, 2019, on PC. Stay tuned to Shacknews for additional updates.